If you are looking for clear PVC cosmetic bags of various designs, colors, durable, and affordable and well-made, then the double-pullers zipper coosmrtic bag is the right one for you. This great accessory will meet your fashion and beauty criteria. This bag are excellent way to hold products in place and an easy access to skin care, cosmetics and all of your essentials. It keeps air out and seal out the elements. 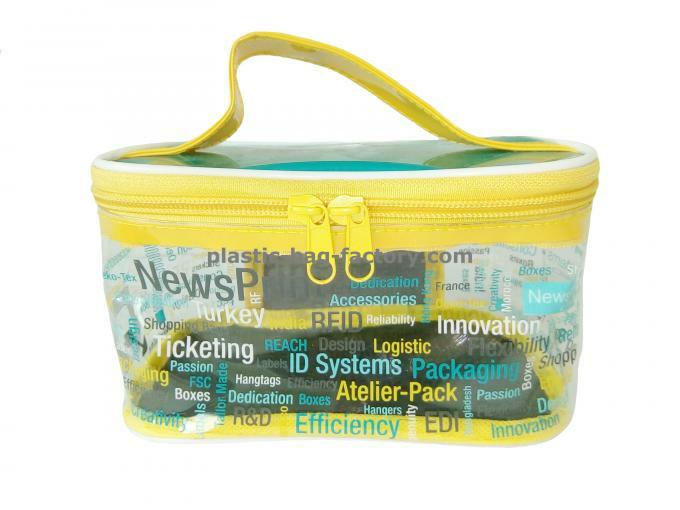 This attractive convenient bag enables the user for maximum visibility of all the products you want to store. This bag can be used for travel, work or events that may involve being outdoors or beaches.